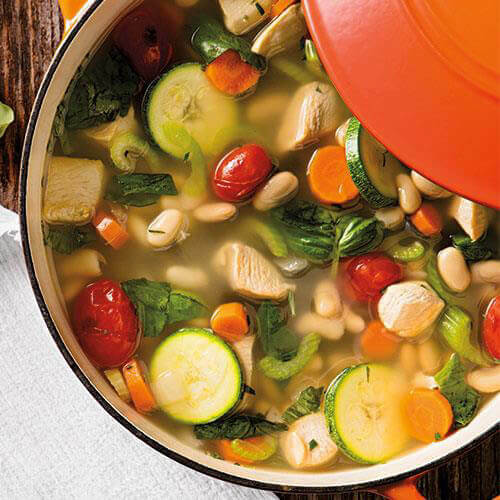 Place the olive oil, onion, garlic, and chicken pieces in a 6- or 8-quart soup pot over medium-high heat. Sauté until the onions become translucent. Add the carrots, celery, zucchini, and tomatoes, and cook for 5 minutes. Add the beans, herbs, pepper, and stock. Bring to boiling, then reduce heat to just below a boil and cook, covered, for 20 minutes.